When mentioning Broward County jail we, in fact, refer to 4 correctional facilities, each has its own specific purposes and functions. All in all, every year, about 63,000 people from all races and social strata are booked into these facilities while at any given time, more than 4,500 inmates are held in them. What is more, close to 180,000 inmates are transferred from one jail to another and to the court house and back on a yearly basis. To find out whether a relative, a friend or anyone else is booked in Broward County jail system, refer to the sheriff office. Their website offers a useful electronic inquiry tool meant to assist you in locating Broward County arrest records. Results will include inmate’s mugshot, gender, race, age, physical description, arrest and expected release date, arrest and case number, charges information and bond details. Data is updated constantly. For additional information, you may contact BSO’s Department of Detention by dialing 954-831-5900. The main disadvantage of the above mentioned service is that it covers only current inmates. If you want to find older jail records, we recommend expanding your inquiry by referring to two broader computerized databases maintained by the Florida Department of corrections. The first database will help you find Florida inmates that currently serve time in one of the state’s jails or prisons. The second data bank is, in fact, an offender information search that displays people who have been incarcerated, prosecuted and convicted in the entire state in the past but are no longer in custody. You have another alternative, but it may require some time and effort. You can conduct an inmate search in each of Broward County detention facilities by contacting them directly. Below, you will find relevant contact details. The county’s Main Jail is categorized as a maximum security facility. It has a capacity of more than 1,500 high risk male inmates (including approximately 60 juveniles). Most of them were sentenced to less than a year. Others are awaiting their trial. The jail consists of a large 8 floors building that was constructed in 1985. It is located at 555 SE 1st Ave. Ft. Lauderdale, FL 33301. Phone number: 954-831-5900. This facility started operating in 1999. It was named after Joseph Conte, a BSO detention officer who died in the line of duty. It is categorized as a medium security jail. It can contain up to 1,328 male detainees, most of whom are awaiting trial. The jail is secured by a staff of 321 officers. Inmates benefit from a variety of educational and rehabilitation programs. Address: 1351 NW 27th Ave. Pompano Beach, FL 33069. Telephone number: 954-831-5900. North Broward Bureau is a minimum – medium security correctional facility built for male and female inmates with medical and mental problems (Some of the inmates are under protective custody). It was opened in 1979. Its full capacity is 1,200 detainees. 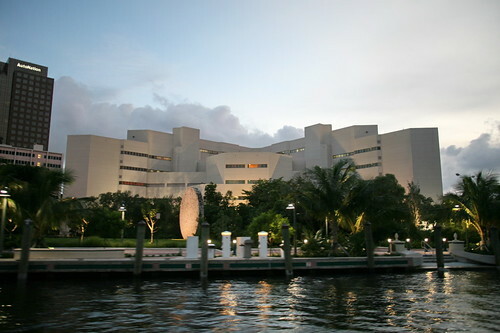 The jail is located at 1550 NW 30th Ave. Pompano Beach, FL 33069. Phone number: 954-831-5900. This medium – maximum security facility covers an area 257,790 square foot. It started operating in 2004. It contains up to 1,020 mixed gender detainees in two building of 4 floors each (males and females are held in separate compounds) and is guarded by 200 officers. The jail specializes in educational and rehabilitation programs meant to prevent inmates from resuming their criminal behavior and prepare them for normative life after they are released. The jail’s address is 2421 NW 16 Street. Pompano Beach, FL 33069. Phone number: 954-831-5900. Each inmate is entitled to a visit of 2 hours every week. Specific visiting days and hours vary from one facility to another. For specific information, consult the jail facilities page on the sheriff’s website. 1) The maximum number visitors allowed per visit consists of 2 adults and 1 minor. A minor must be accompanied by a parent or a legal guardian. 2) At the entrance to the facility, every visitor must show an official indentifying document with a photo, e.g. an ID card or a driving license. 3) Visitors must make sure they are dressed properly and modestly. Problematic clothing, such as mini-skirts, will not be accepted. 4) Visitors under the influence of drugs or alcohol will not be allowed to enter the facility. 5) Visitors are not allowed to give or receive anything from a detainee.